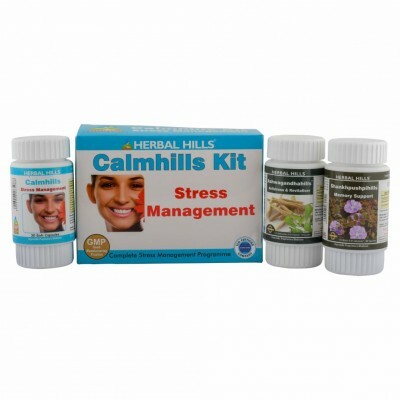 - The selection of herbs in Calmhills is based upon a long standing use as a traditional solution to work from inside out to enhance endurance improving the tolerance to stress. 2) Ashwagandhahills 60 capsules : Antistress & Revitaliser Ashwagandha is a herb that may help reduce anxiety and stress levels, increase vitality, vigor & control fatigue. 3) Shankhpushpihills 60 capsules - Memory Support According to Ayurveda, Shankhpushpi is considered to be the best memory enhancer as well as tonic to brain & nerves. 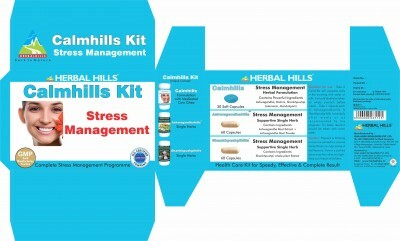 Take 2 Calmhills soft capsules in the morning with warm water or milk or as recommended by the physician. It should ideally be taken on empty stomach before meals. Take 1 each of Ashwagandhahills capsule & Shankhpushpihills capsule twice daily after meals. For better results it should be taken with warm water.